Here we have the eighth annual release in Glenmorangie’s Private Edition range. 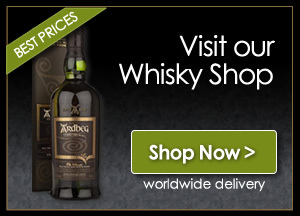 This is their first expression to finished entirely in sun-basked Malmsey Madeira casks. Doctor Bill Lumsden decided to get bespoke American oak casks and have them heavily toasted, he then had them seasoned with Malmsey Madeira, the sweetest of all Madeira wines. These casks were left to bake in the hot Madeira sun. Once emptied of wine they were shipped to Scotland and filled with spirit that had already matured in ex-bourbon barrels. Connoisseurs will recognise the radiating warmth of our bespoke sun-baked casks in Glenmorangie Bacalta’s aromas of ripe apricots, white chocolate and mineral notes. There are complex tastes of mint toffee, baked fruits, honeycomb, almonds and dates, mingling with marzipan, white pepper and melon – and a rich, syrupy finish. 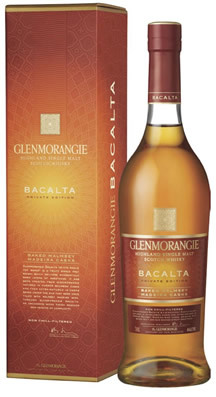 Glenmorangie Bacalta is a burst of sunshine in a glass. Let’s open a bottle and have a wee taste. some very delicate aromas some white chocolate mice. light floral note, very juicy like pears in a vanilla syrup, zesty. Finish…Medium finish, peaches and pears turns it into a creamy boozy parfait. I like this one a lot. Can see tis one making it to The Whisky Boys cabinet, Now available worldwide and priced at around £80.00 and this price is just about right. You have gone and done it again, Dr Bill another wee triumph.